Pepe (Paul) Ndombe Opetum was one of the pre-eminent vocalists for TP OK Jazz which is arguably the greatest band Africa has ever produced. His voice is one of the most distinctive and can best be described as metallic tenor. Aside from vocals, Opetum was an excellent composer. Born in 1944 in Bandundu, Opetum started his career with Orchestre Super Fiesta of Kikwit. In 1968 , he joined Tabu Ley’s Afrisa International. It was here that he first made a name for himself as one of the lead vocalists for the band. In 1972, Afrisa was facing solvency problems and Tabu Ley admitted that he not payed some musicians for six months. It was against this backdrop that Opetum left to along with saxophonist Empopo Loway as well as “Moro” Maurice to form a band known as Afrizam. He enjoyed moderate success with Afrizam which at its height also had female vocalist , Abeti Masikini. In 1975, Afrizam was depleted by defections and Opetum received an offer from Franco to join TP OK Jazz along with with Empopo Loway and Mavatiku Visi popularly known as Michelino who had recently left Afrisa. At the time Franco needed another lead vocalist to replace Sam Mangwana who had just left. It was an offer he could not resist as Franco and TP OK Jazz had already established itself as one of the preeminent bands not just in Zaire but in Africa. He soon established himself as one of the lead singers for TP OK Jazz. He made his presence felt , composing hits such as Mabe yo Mabe and Voyage ya Bandundu. In 1978, Opetum faced a career setback when he was fired by Franco along with Michelino who was accused of conspiring to form a rival band. Ndombe briefly considered rejoining Tabu Ley’s Afrisa with whom he appeared at a concert in Brazzaville. The firing was a blessing in disguise. During his exile from TP OK Jazz, Franco and several band members received jail sentences for participating in the release of two songs, Helene and Jackie which were deemed filthy by the Zairean government. Franco himself was sentenced to 6 months. Others received 1-2 months in prison. Later in 1978 Opetum rejoined TP OK Jazz. It was during the period of the late 1970s and early 1980s that TP OK Jazz was at the very peak of its powers. Opetum was part of a powerful frontline which had stalwarts like Josky Kiambukuta, Ntesa Dalienst, Djo Mpoyi Kaninda and Lola Checain. He made a name for himself composing memorable songs such as Mawe a song about the beautiful women available in Kinshasa. There was also another hit “Nayebi ndenge bakolela ngai” whereby he described what he would like done when he dies, essentially laying out his funeral arrangements. He left TP OK Jazz again in 1983. 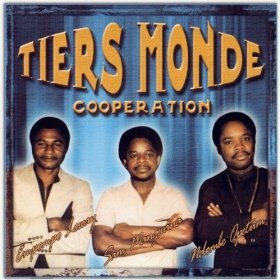 Along with Sam Mangwana, Djo Mpoyi, Lukoki Diatho and his long time friend Empopo Loway, he formed a band known as Tiers Monde Cooperation (3rd world cooperation). That band was however short lived as the restless Mangwana soon left, living up to his nickname “La Pigeon Voyageur”. 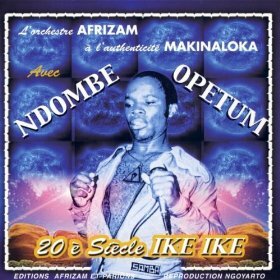 In 1987, Opetum made a surprise return to his old band Afrisa International where he played second fiddle to Mbilia Bel who had become a star in her own right and Faya Tess. Opetum returned to TP OK Jazz in 1989. It was then that he composed perhaps his greatest hit while a member of TP OK Jazz. The name of the song was “Anjela” which was recorded shortly before the death of Franco. The song was a hit with audiences in Zaire and all over Africa. In the song , Ndombe plays the part of a man asking a woman with whom he has lost touch to give their lost relationship a second chance. After the departure of Franco, Ndombe continued to play with TP OK Jazz until the fallout between key band members and Franco’s family which led to the formation of the offshoot Bana OK in 1994. Ndombe along with Josky and Simaro Massiya were the key members of Bana OK which also had former TP OK Jazz members such as Gerry Dialungana, Makosso and Aime Kiwakana.The band was highly successful in its early days, delivering the same quality and memorable hits as TP OK Jazz did. By the late 90s, Bana OK members were pursuing solo projects. Opetum released his own album, Toucher jouer which also featured vocals from other Bana OK members such as Josky and new recruit Shakembo. 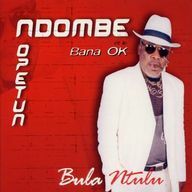 In 2004, Opetum solo album Bula Ntulu which was well received by audiences. Ndombe had nine children the most famous of whom was Babi Ndombe who played with Wenge Maison Mer before launching his own career. 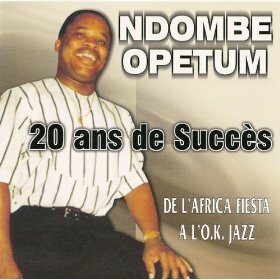 Pepe Ndombe Opetum, just like Franco, Madilu and Ntesa Dalienst, will remain to be one of my favorite OK Jazz musicians. He leaves behind a gap in my music world that no one will ever fill. Only if death consulted before taking anyone, I would have suggested that some musicians remain alive as long as I live. R.I.P Ndombe Opetum…It is sad that just like you sang in VOYAGE NA BANDUDNU,you finally did succumbed to THE VOYAGE NA BANDUNDU and you have gone to be with your ancestors from BANDUNDU. Very sad indeed.Death has stolen a legend.May the LORD keep the remaining members of the TPOK.We will miss you Pepe Ndombe.May your soul RIP. R.I.P Opetum, we shall forever remember you in your music which shal never die! Rest in peace our legend Ndombe. Pepe Ndombe, it was a real blessing see you and other members of TP OK Jazz Mzee Franco, Ntesa, Madilu, the greatest band on earth so far. My heart still aches for your lose. The greatest voice Iv lost. As I watched your funeral images I shed tears listening to Nayebi Ndenge Bakolela Ngai in the background. Opetum, one of my best vocalists in TPOK Jazz. R.I.P. Will always remember you guys, your music will remain for years. pepe was indeed a great vocalist and a superb composer.may his soul rest in peace.